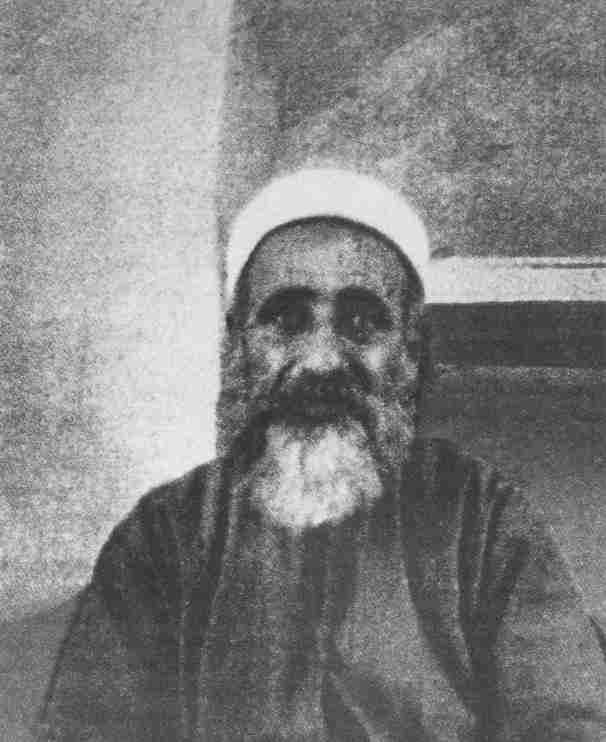 Jinab-i Mírzá Muḥammad-Qulí, was a loyal brother of the Blessed Beauty. This great man was known even from his childhood for nobility of soul. He was newly born when his distinguished father passed away, and thus it came about that from the beginning to the end of his days, he spent his life in the sheltering arms of Bahá’u’lláh. He was detached from every selfish thought, averse to every mention except to whatever concerned the Holy Cause. He was reared in Persia under the care of Bahá’u’lláh, and in Iraq as well, especially favored by Him. In the presence of Bahá’u’lláh, it was he who would pass around the tea; and he waited upon his Brother at all times, by day and night. He was always silent. He always held fast to the Covenant of “Am I not your Lord?” He was encompassed by loving-kindness and bounty; day and night he had access to the presence of Bahá’u’lláh; he was invariably patient and forbearing, until in the end he reached the very heights of Divine favor and acceptance. With his peerless Lord, he then was exiled to the ‘Akká fortress, condemned by order of the Sulṭán to be imprisoned forever. But he accepted in the same spirit all that came his way—comfort and torment, hardship and respite, sickness and health; eloquently, he would return thanks to the Blessed Beauty for His bounties, uttering praise with a free heart and a face that shone like the sun. Each morning and evening he waited upon Bahá’u’lláh, delighting in and sustained by His presence; and mostly, he kept silent. When the Beloved of all mankind ascended to the Kingdom of Splendors, Mírzá Muḥammad-Qulí remained firm in the Covenant, shunning the craft, the malice and hypocrisy which then appeared, devoting himself entirely to God, supplicating and praying. To those who would listen he gave wise advice; and he called to mind the days of the Blessed Beauty and grieved over the fact that he himself lived on. After the departure of Bahá’u’lláh, he did not draw an easeful breath; he kept company with no one, but stayed by himself most of the time, alone in his small refuge, burning with the fires of separation. Day by day he grew feebler, more helpless, until at the last he soared away to the world of God. Upon him be peace; upon him be praise and mercy, in the gardens of Heaven. 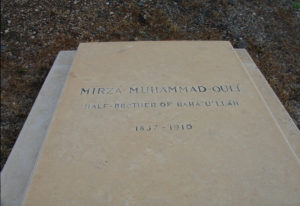 His luminous grave is in Naqíb, by Tiberias.